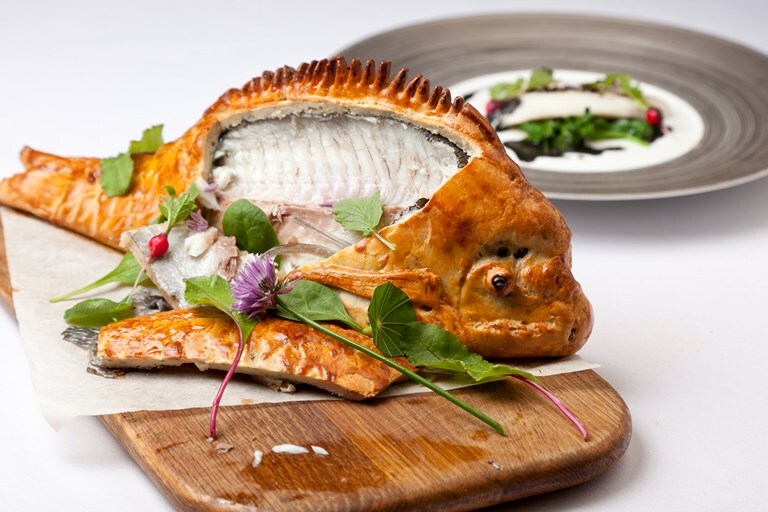 Plonk Colin McGurran's whole, pastry-encased bream in front of diners and they are sure to be impressed. 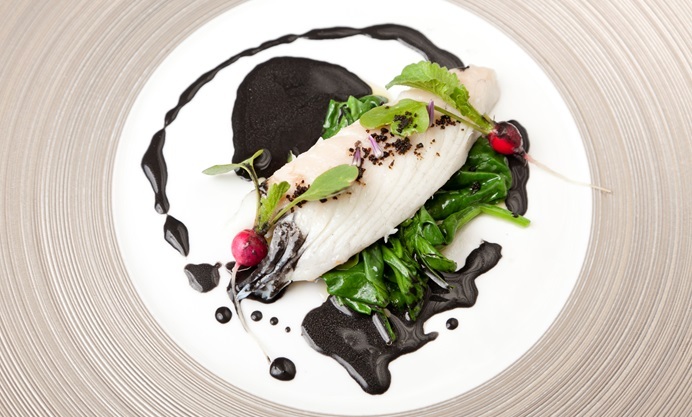 Once the fillets are removed it transforms into an intricate, restaurant-style seafood dish - with a dazzling squid ink sauce and spinach for accompaniment. 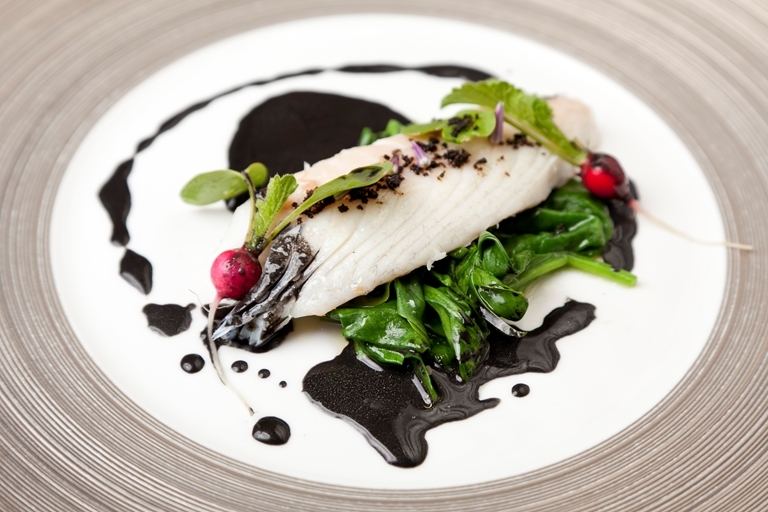 If you can't get hold of Noilly Prat for this baked bream recipe you can use any good quality dry vermouth.